The largest selection in quality equipment of top brands. Golf Center focuses on sales of golf equipment from reliable brands, at fair prices, in an environment that inspires confidence. We therefore only stock brands of golf clubs with an impeccable reputation, based on serious research, which offer a fair guarantee. A few names? Callaway, Cleveland, Cobra, Mizuno, Odyssey, Ping, TaylorMade, Titleist and Wilson. More than thirty years of experience has taught us that no club, whether it is a wood or an iron, a putter or a wedge is perfect for anyone, regardless of whether it bears the name Callaway, or TaylorMade, or Ping, etc. By using an equipment test with Trackman Technology, you objectively discover yourself which wood, iron, putter or wedge best suits you. Your personal ticket to a lower handicap. Both shops throughout the entire year have the full ranges, and all the fitting variations of these brands, i.e. all the latest clubs that exist, in all the different variations (lie, loft, shaft, etc.). Thanks to Trackman Technology, our fitting specialists demonstrate to you in great detail which clubs best suit you and how you gain the most benefit from them. You will find the most complete information on the range on the websites of the respective brands. Should you still have a question, please contact our club specialists at: +32 (0)56 / 41.15.00 (Wevelgem) or +32 (0)10 / 22.68.44 (Wavre). Are there clubs which I would play significantly better with, than with the equipment I'm using now? Innovation is the asset in the fascinating world of high-tech golf equipment. New materials and new technologies emerge thick and fast. 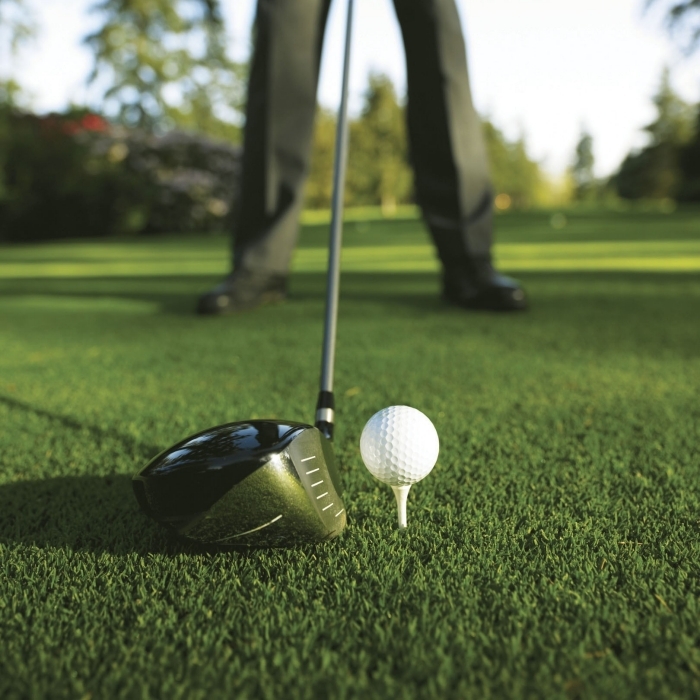 Golf equipment continues to develop fully, and is becoming increasingly more comfortable to play with. 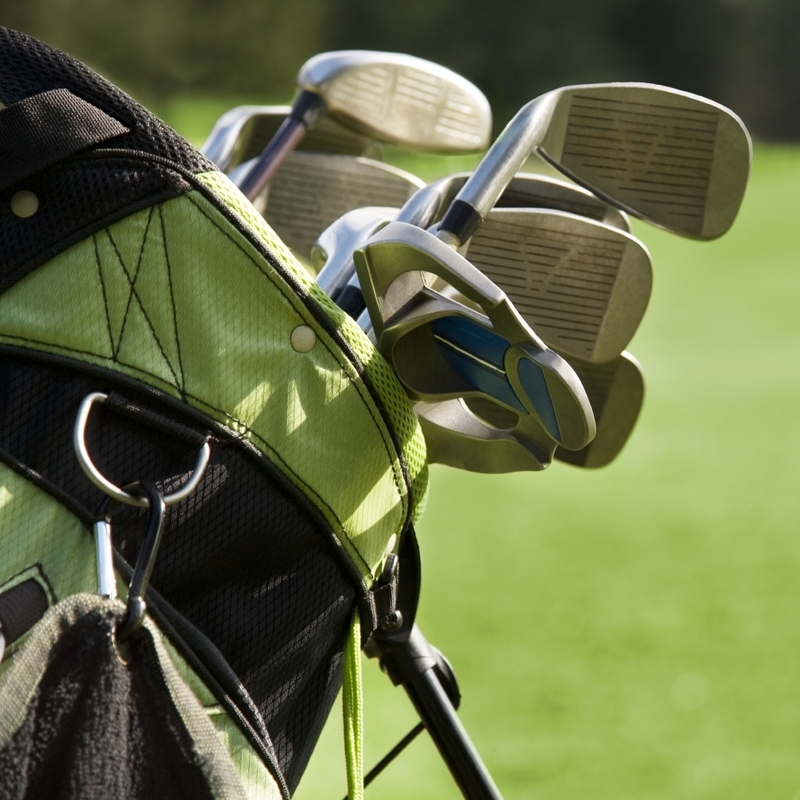 Golf clubs are indispensable tools to achieve your golfing goals. Nevertheless, their importance is often underestimated. Golf clubs that do not fit your morphology, playing style or level lead to a waste of time and energy, and are thus detrimental to your handicap. Therefore it is advisable to check regularly whether your clubs still fit in your current situation. In Golf Center, we can assist you perfectly with this, on the basis of a Trackman Test. Is fitting actually necessary for me? Or is standard equipment OK? Did you know that the population over the last 60 years has become taller with an average of 10 cm? The furniture maker, car designer, the architect and aircraft interior designer,... everyone involved in ergonomic design needs to take this into account. Golf hardware manufacturers as well. There are so many different variables: length of arms and legs, the distance from your hands to the ground, the power you hit with, and the position your body takes, to name a few. This is the reason we're steadily evolving towards precision-customization, to perfectly adapt the clubs to your morphology and playing style. For years our customers come testing clubs with Trackman® technology. We've got appointments on a daily basis. Statistics reveal that 90% of de purchases include fitting, meaning: customized hardware. These clubs aren't more expensive than standard models, but are completely adapted to the owner. Thanks to the experience we built during the years, we at Golf Center know what to pay attention to. We're offering – and this is unique- the complete fitting system for all the brands and the test clubs in all the different varieties. Looking for sound advice, and an answer to the question above? Book your Trackman® test now, and let's explore the possibilities together. Elegance + comfort: you will find the largest selection at Golf Center. There is an appropriate bag for every personality, for every type of player, for every level of play. And yet a bag, besides grips, is the product to which least attention is paid during selection. If you want to look for a new bag, there will undoubtedly be some questions flashing through your mind. OK, for ladies in the first place it must be stylish and elegant, and above all have the right colour. For men it must be strong and durable, and have the necessary convenience, but in addition? On these pages, we give you some tips that can help you get started already. More questions? A conversation in your Golf Center will provide advice. Are all those side pockets really necessary? The separate pocket for valuables may look superfluous in the shop, on the course this will change, when you see how keys, a forgotten jewel and your wallet merrily bounce up and down beside each other in the balls compartment. A separate compartment for an additional garment is also convenient. Whether or not you need a cool bag depends on your own needs. In short, a good bag should be like a caddy: it must respectfully "hold" things for you and it should not cost a lot of time and effort to find what you need. Carry bags with a single strap are now outdated. They are murderous for your back and shoulders. If you go for a carry bag, select one that has a solid, double strap, and get advice about this. Check the strength of the zippers, and check that you can get them open with one hand. Also check the angle at which the zippers are placed. Some bags are completely waterproof, and the material of the zips as well. Make sure that the handles are in the correct place. If they are well positioned, it's a lot easier to take the bag off the cart, or take it out from a travel cover. Should I take a carry bag or a stand bag? If you always go onto the course with a cart, you do not need to worry about how soft the straps are, and how they distribute the weight. In this case you also do not need to pay attention to whether the bag is stable on the stand, even if it is fully loaded. And you do not need to think about whether the part that rubs against your hip does not damage your clothes. If you want to "carry", then opt for as light as possible - although completely minimalism is also out of the question ... a place for a bottle of water in the summer, for example, is not an unnecessary luxury, even less are a raincoat and/or rain trousers on a day when rain is forecast. If you opt for a trolley bag, you can really go for comfort and space. The combination with an electric buggy is naturally the most comfortable by far. How many compartments do we need? If we look at it technically, we can say that good protection of the shaft in the bag is not an unnecessary luxury. Make sure that the compartments are made of a soft but sturdy material, so that your shafts never rub against anything hard or sharp. Furthermore, the "subdivision" question depends completely on your personal taste. Some people prefer to have more subdivisions, and possibly a system in which the clubs hook in firmly, others prefer fewer subdivisions, because they need to be less precise in putting in and pulling out the clubs. Ensure that your shafts do not “rattle” too much against each other on the way, because this is eventually an annoying sound, and is not good for your shafts. But, for the: 5 to 7 large subdivisions are in our opinion completely OK, the rest only bring additional weight with them. If you want more, the choice is there ... It depends on how "protective" you want to be. The Largest Selection of Electric and Mechanical trolleys. You are looking for a new trolley, but cannot see the wood for the trees? 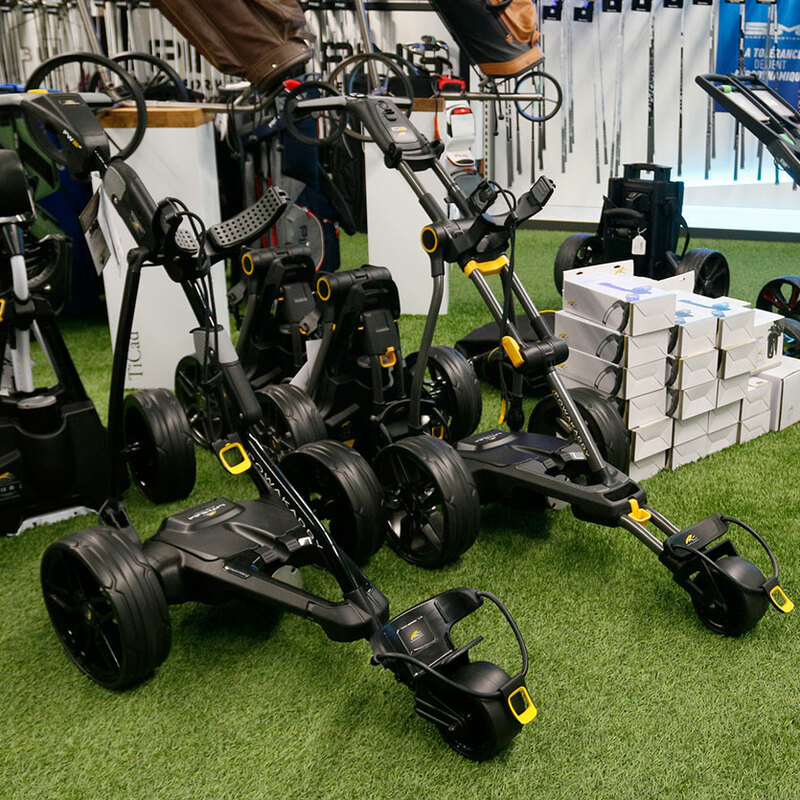 You do not know where to start, whether you want a mechanical or rather an electric trolley? Our technicians will be happy to help you. You select on site from the widest range of trolleys. The number of brands is limited for these because we stick to reliable brands, with fair guarantees, which is most important, especially for electric trolleys. Enjoy the largest selection and the most professional advice at sharp prices with a strong guarantee. Own Technical Service for Maintenance and Repairs. We attach great importance to the after-sales service. This is of the greatest importance, especially for electric trolleys. We perform the inspection free of charge. If repairs are necessary, we always have a very large range of spare parts in stock. Also at the best price in this context.